Versatile, single-acting, spring-return C Series hydraulic cylinders are perfect for lifting and pressing jobs. Designed to perform to their optimum when used on a regular basis, the sturdy steel body, aluminium bronze bearing, maximum-sized springs and chrome-plated piston rod all enhance the cylinders’ durability. From 5-100 tons, collar threads enable use when upside-down. 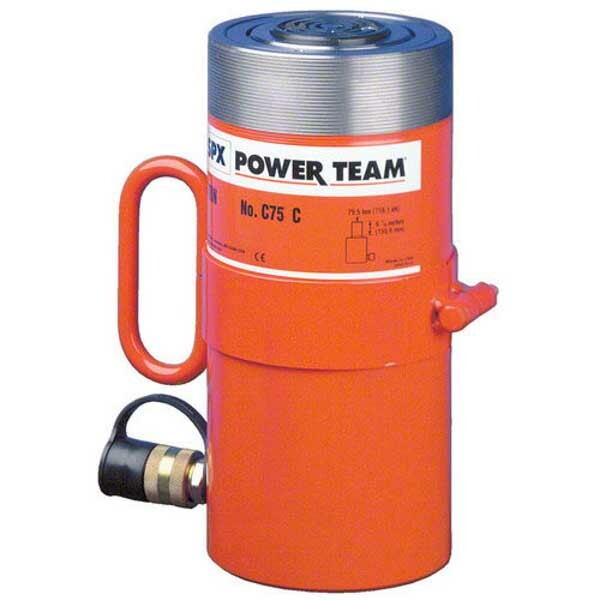 Find a top quality, single acting cylinder that is suitable for a broad range of general purpose lifting and pressing jobs. Everything from a 5 to a 100-ton single acting hydraulic cylinder is available, with varying stroke sizes, meaning there is one ideal for the task you need completing. Each one is designed to perform at its optimum level when used on a regular basis, with collar threads enabling them to be used upside down when necessary. 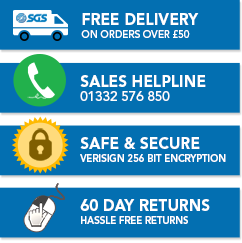 Take a look through the range to find an option that meets your needs or please contact our technical sales team on 01332 576 850. Every single action hydraulic cylinder for sale is highly durable, with a sturdy steel body, aluminium bronze bearing and maximum-sized springs. The chrome plated piston rod is protected against wear and corrosion and benefits from the maximum spring size, which increases spring life and speed. All cylinders up to 55 tons come with base mounting holes, which are optional for each 75 and 100-ton single acting hydraulic cylinder. A stop ring is in place to help withstand full dead-end loads, while there is easy repair access from one end.